Skinner, Cornelia Otis. Madame Sarah. Boston. Houghton Mifflin. 1967. Octavo. Hard cover. Reprint. Illustrated. Fine copy in near fine (light shelf wear) dust jacket (in mylar). Skinner, Peter. World Trade Center. The Giants That Defied the Sky. Photo available. Vercelli. White Star. 2002. 4to. Hardcover. First edition. Illustrated in color and black & white. Folding plates. Fine copy (owner inscription) in fine dust jacket (in mylar). Skinner, Peter. World Trade Center. The Giants That Defied the Sky. Photo available. Vercelli. White Star. 2002. 4to. Hardcover. First edition. Illustrated in color and black & white. Folding plates. Fine copy. Skinner, Peter. World Trade Center. The Giants That Defied the Sky. Photo available. Vercelli. White Star. 2002. 4to. Hardcover. First edition. Illustrated in color and black & white. Folding plates. Fine copy in fine dust jacket (in mylar). Skinner, Stephen. Millennium Prophecies. Predictions for the Year 2000 and Beyond. From the World's Greatest Seers and Mystics. New York. Barnes & Noble. 1997. 4to. Hard cover. Illustrated in black, white and color. Fine copy (owner blind stamp) in fine dust jacket (in mylar). Skipworth, Mark. 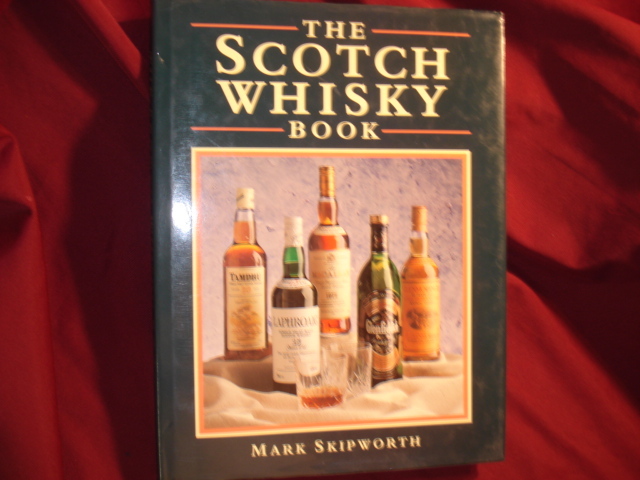 The Scotch Whisky Book. Photo available. London. Hamlyn. 1987. 4to. Hardcover. First edition. Illustrated in black, white and color. Fine (owner name on end paper) copy in fine dust jacket (in mylar). Sklare, Marshall (ed). The Jews. Social Patterns of an American Group. New York. Free Press. 1958. 669 pps. Octavo. Hardcover. First edition. Fine copy in near fine (light shelf wear) dust jacket (in mylar). Skornicka, J.E. Rubank Intermediate Method. Flute or Piccolo. Chicago. Rubank. 4to. Soft cover. First edition. Near fine copy (very light shelf wear, some owner notes). Skousen, Joel M. The Survival Home Manual. Architectural Design, Construction, and Remodeling of Self-sufficient Residences and Retreats. Photo available. np. Self published. 1982. 421 pps. 4to. Hardcover. Second edition. Illustrated. Important reference work. Related material laid in. Fine copy in near fine (very light shelf wear) dust jacket (in mylar). Slapey, Sterling. Pioneers of American Business. New York. Grosset & Dunlap. 1973. Octavo. Hard cover. First edition. Illustrated. Fine copy in fine dust jacket (in mylar). Slatalla, Michelle. The Town on Beaver Creek. The Story of a Lost Kentucky Community. New York. Random House. 2006. Octavo. Hard cover. First edition. Fine copy in fine dust jacket (in mylar). Slater, Leonard. The Pledge. New York. Simon and Schuster. 1979. 350 pps. Octavo. Hardcover. Reprint. Fine copy in fine dust jacket (in mylar). Slater, Rosalie J. Teaching and Learning America's Christian History. American Revolution Bicentennial Edition. Photo available. San Francisco. Foundation for American Christian Education. 1987. 4to. Gilt decorated hard cover. Reprint. Fine copy in glassine wrapper. Slattum, Judy. 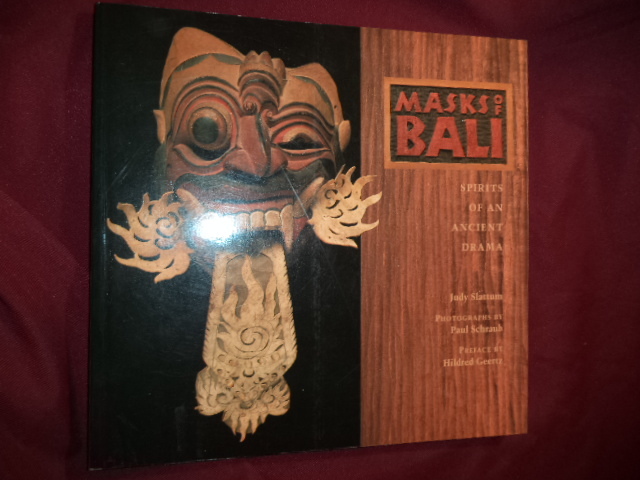 Masks of Bali. Spirits of an Ancient Drama. Photo available. San Francisco. Chronicle Books. 1992. Octavo. Soft cover. First edition. Illustrated in black, white and color with photographs by Paul Schraub. Fine copy. Slide, Anthony. A Collector's Guide to TV Memorabilia. Lombard. Wallace-Homestead. 1985. 4to. Soft cover. First edition. Illustrated in black, white and color. Fine copy. Sloan, Irving J. (ed). Blacks in America. 1492-1970. A Chronology & Fact Book. Dobbs Ferry. Oceana. 1971. Octavo. Hardcover. First edition. Ex-libris. Mark on spine, otherwise fine copy. Sloan, Irving J. (ed). Jews in America. 1621-1970. A Chronology and Fact Book. Dobbs Ferry. Oceana. 1971. Octavo. Hardcover. First edition. Ex-libris. Mark on spine, otherwise fine copy. Sloan, Irving J. (ed). Jews in America. 1621-1970. A Chronology and Fact Book. Dobbs Ferry. Oceana. 1971. Octavo. Hardcover. First edition. Near fine copy (library pocket on end paper). Sloane, Eric. A Museum of Early American Tools. New York. Ballantine. 1974. Octavo. Soft cover. Reprint. Illustrated. Fine copy. Sloane, Eric. 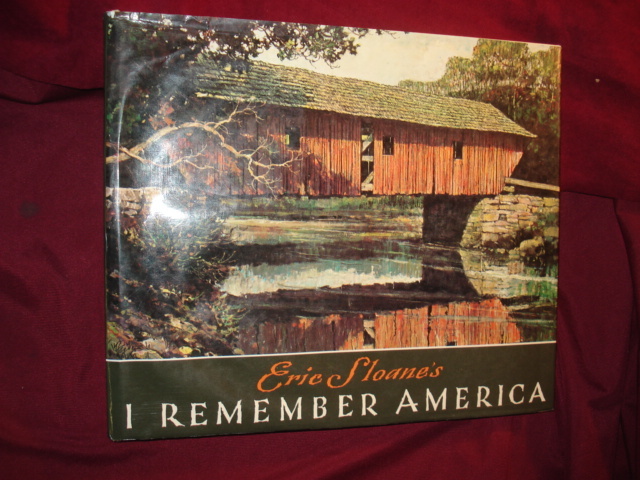 Eric Sloane's I Remember America. Photo available. New York. Gallery Books. 1987. Folio. Hardcover. Illustrated in black, white and color. Fine copy in fine dust jacket (in mylar). Sloane, Eric. Eric Sloane's I Remember America. Photo available. New York. Funk and Wagnalls. 1971. Folio. Hardcover. First edition. Illustrated in black, white and color. Fine copy in fine dust jacket (in mylar). Sloane, Eric. The Seasons of America Past. Photo available. New York. Promontory. 1988. 150 pps. Octavo. Hard cover. First edition thus. Illustrated. Important reference work. Fine copy in fine dust jacket (in mylar). Sloane, Eric. The Second Barrel. New York. Funk & Wagnalls. 1977. 4to. Hard cover. First edition. Illustrated. Fine copy in fine (price clipped) dust jacket (in mylar). Sloane, Eric. The Spirits of '76. Photo available. New York. Walker and Company. 1973. Octavo. Hardcover. First edition. Illustrated. Important reference work. Fine copy in near fine (very light shelf wear) dust jacket (in mylar). Sloane, Eric. The Spirits of '76. Inscribed by the author. Photo available. New York. Walker and Company. 1973. 64 pps. Octavo. Hardcover. First edition. Illustrated. Important reference work. Inscribed by the author "To Bill (drawing of the Liberty Bell) Eric Sloane". Fine copy in fine dust jacket (in mylar).